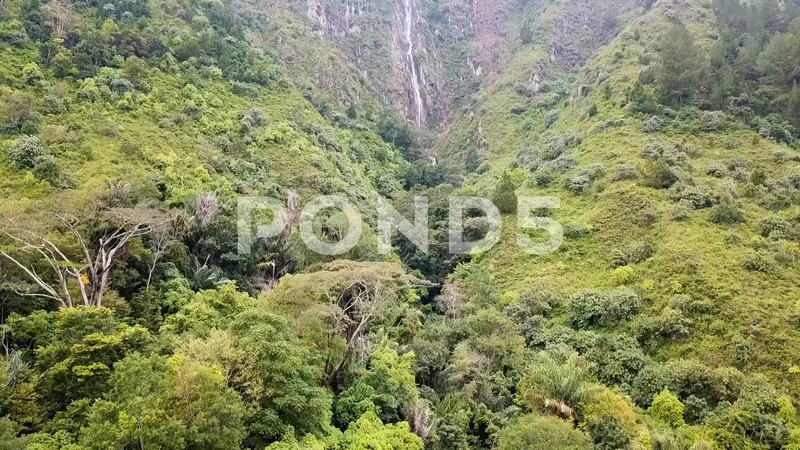 Aerial Footage From Sumatra, Indonesia. Flying Trough Mountains. Description: Waterfall in Sumatra, Indonesia.